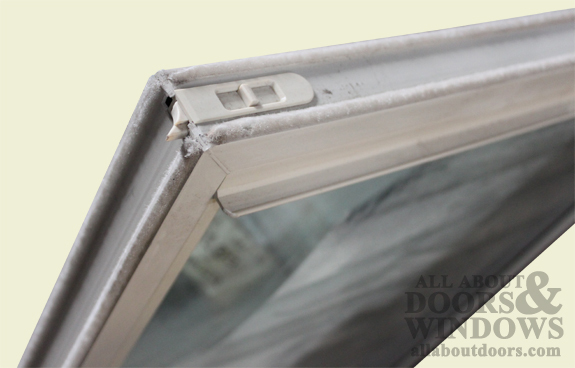 Internal Tilt Latch: Internal tilt latches are concealed inside of the sash of the window--they have a small slider on the top of the sash that is visible. 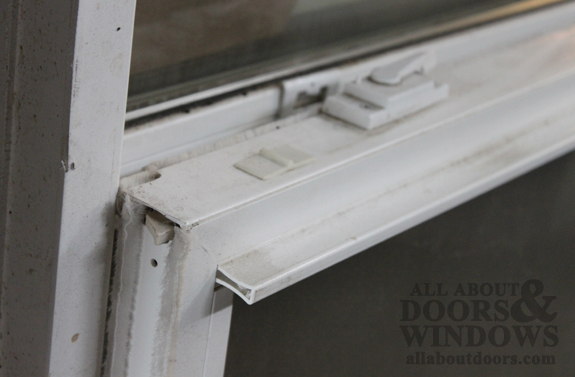 The user slides the top piece, and it unhooks the latch and the window sash can be tilted in. Slide-In Tilt Latch: Slide-in tilt latches snap into an opening in the top of the sash; it is a one-piece mechanism. Surface-Mount Tilt Latch (503028 and 503038): Surface-mount tilt latches are screwed onto the top of the sash--they are low-profile, but not flush with the top of the sash like internal and slide-in latches. Tilt latches can break easily, because they are typically made of plastic. Replacing internal latches often requires a direct or exact replacement. Alternatively, internal latches can be replaced with surface-mount latches. Because surface-mount tilt latches simply screw on to the top of the sash, they are a one-size-fits-all mechanism that can be used on any brand of double- or single-hung tilt window. Remove the original, broken internal latch. Note that it is in two pieces that are removed separately: the little slider piece on the top of the sash and the actual latch, which is in the edge of the sash. Slide a small block of wood into the now-empty space where the internal latch used to be. 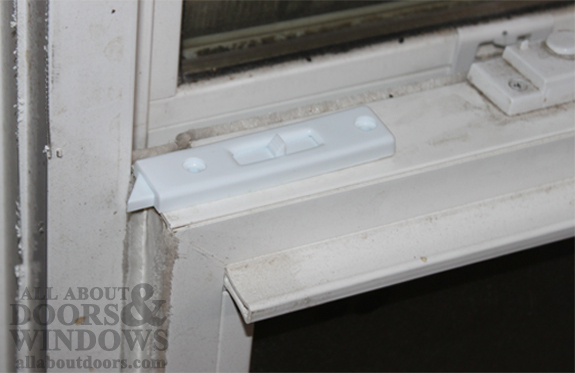 Place the surface-mount latch on the top of the sash so that the extending latch piece hits the frame of the window in the correct spot. Screw the latch in place using self-tapping screws. Make sure the screws are short enough that they don't reach past the block of wood and damage the glass. 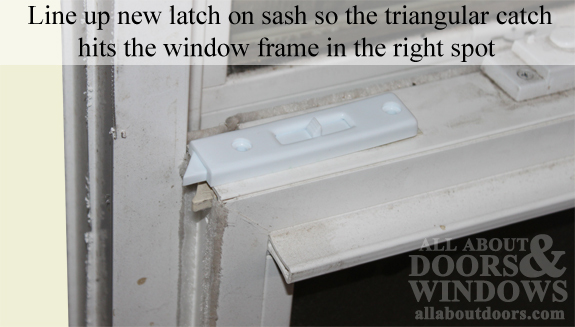 To replace a slide-in tilt latch, know the measurements of your original latch and recessed space in your sash. Find a latch that fits the space. Surface-mount tilt latches can be replaced with any other surface-mount tilt latch. There are two basic surface-mount tilt latch options: part # 503028 is longer and skinnier and part # 503038 is shorter and wider. Both will work on any window with a flat surface on the edge of the top of the sash. Pick the latch that best covers up any existing screw holes.